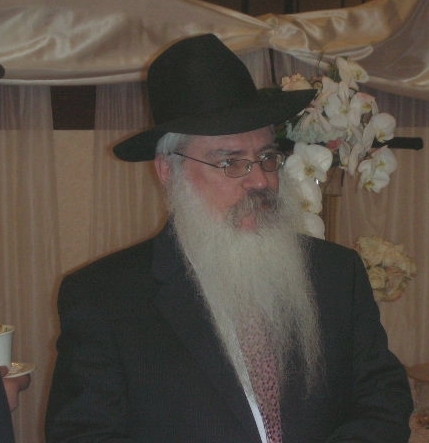 Manis Friedman (full name: Menachem Manis haCohen Friedman; born 1946) is a Chabad Lubavitch Hassid. He is a Torah scholar, rabbi, author, counselor and speaker and is the dean of the Bais Chana Institute of Jewish Studies. "I dont believe in western morality, i.e. dont kill civilians or children, dont destroy holy sites, dont fight during holiday seasons, dont bomb cemeteries, dont shoot until they shoot first because it is immoral. The only way to fight a moral war is the Jewish way: Destroy their holy sites. 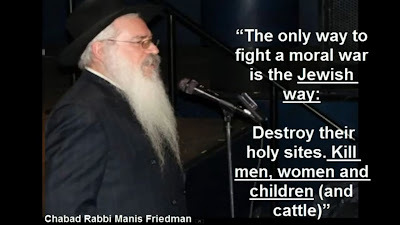 Kill men, women and children (and cattle)with their holy sites destroyed, they will stop believing that God is on their side." His comment was very clear and of course after reprisals by the media Mains Friedman change their response; I wonder how someone can be so cheeky with such sensitive issues? 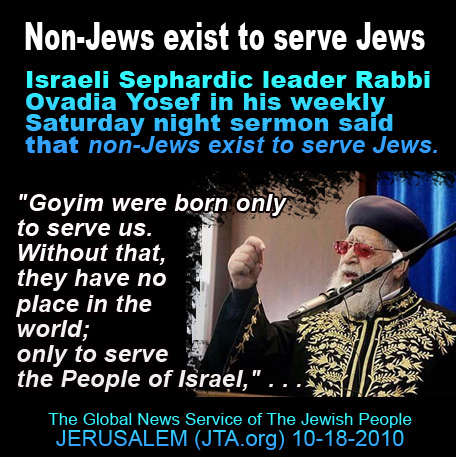 Ovaida Yosef is the former Sephardi Chief Rabbi of Israel, a recognised Talmudic scholar and foremost halakhic authority. 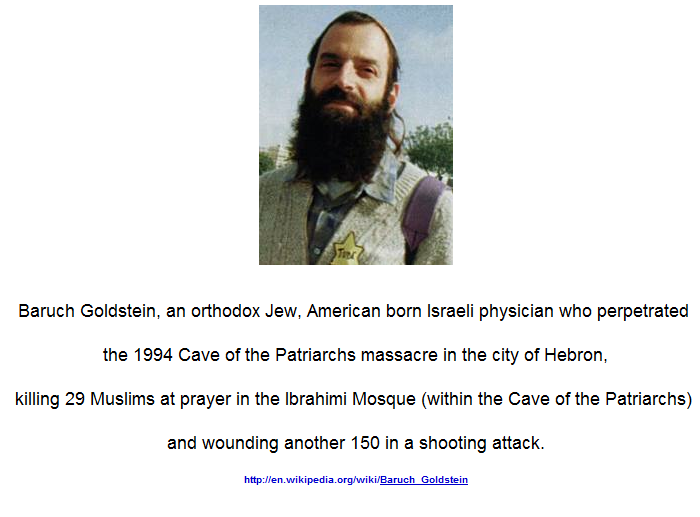 He currently serves as the spiritual leader of the Shas political party in the Israeli parliament. His halakhic responsa are highly regarded within Orthodox circles and are considered binding in many Mizrahi communities, among whom he is regarded as "the most important living halachic authority." In 2001 Yosef was quoted as calling for the annihilation of Arabs, instructing his followers that "It is forbidden to be merciful to them. 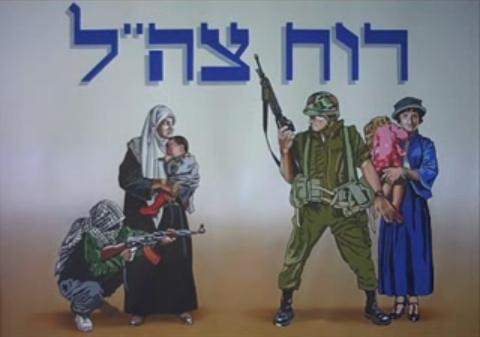 Israeli minister, also criticized Yosef, saying "his remarks add nothing but hatred". 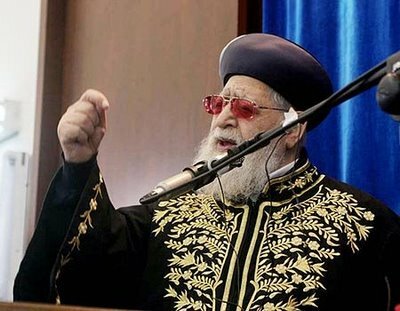 Yosef drew criticism from the US State Department in August 2010 following a Saturday morning sermon in which he called for "all the nasty people who hate Israel, like Abu Mazen (Abbas), vanish from our world... May God strike them down with the plague along with all the nasty Palestinians who persecute Israel." Saeb Erekat, the chief Palestinian negotiator, said Yosef's statements were tantamount to a call for genocide against Palestinians and demanded a firm response from the Israeli government. Israeli Prime Minister Benjamin Netanyahu distanced himself and his government from the sermon, stating that Yosef's words "do not reflect my approach or the stand of the Israeli government." 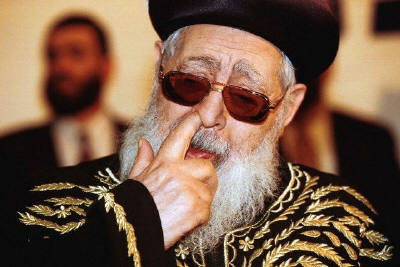 "We regret and condemn the inflammatory statements by Rabbi Ovadia Yosef,"
Because, though you were ministers of his kingdom, you did not judge rightly,and did not keep the law,nor walk according to the will of God, 5 Terribly and swiftly he shall come against you,because severe judgment awaits the exalted 6 For the lowly may be pardoned out of mercy but the mighty shall be mightily put to the test.